We work to protect, preserve and celebrate murals in the communities where they were created. In 2013, we oversaw the repair of the Stockwell Memorial Mural with the assistance of the Friends of Stockwell War Memorial and Gardens. The repainted mural was finished and, along with the restored war memorial, it was reopened on the 14th September 2013 by the late Mark Bennett, the then Mayor of Lambeth. 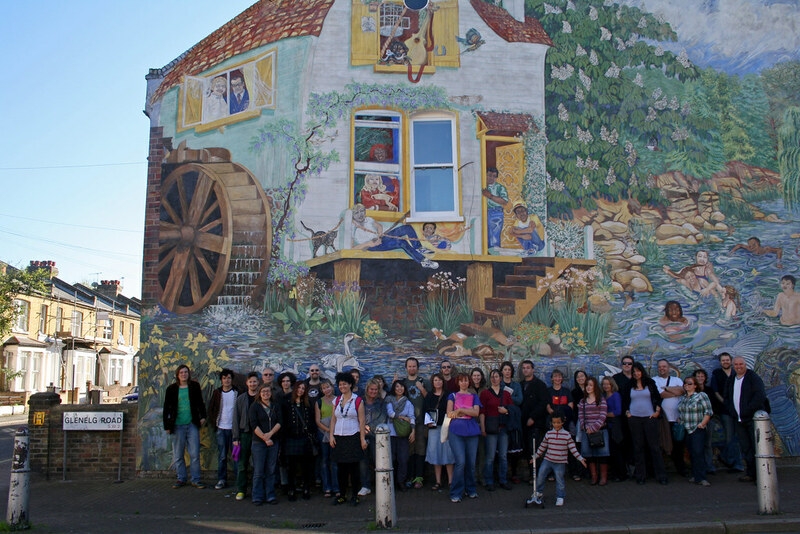 This follows our involvement with the rework of the Brixton Windmill Mural. The restoration was completed and unveiled on Tuesday 5th June 2012. Check out the BBC news clip here. Interested in giving us a hand? Or do you just want to hear about our work? Then drop us an email.